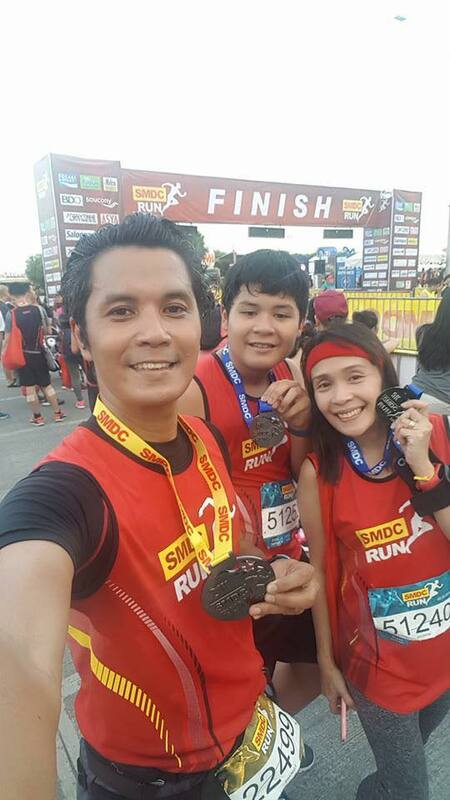 We ran our first official race as a family on February 25, 2018 at the SMDC Run 2018. 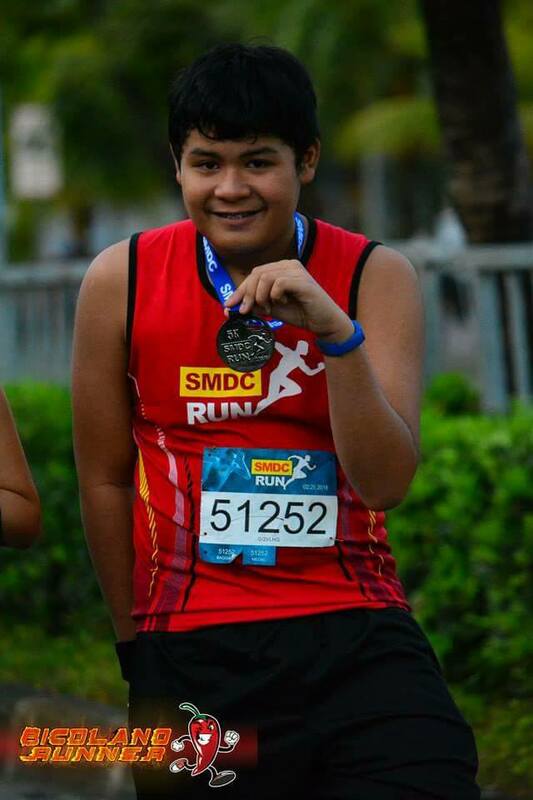 It was only the week before the run when my son and I decided to run with Jeff, albeit only a mere 5K. Jeff registered for 21K months prior. My son and I were only too thrilled that the 5K run comes with a medal too. This is not always so for a lot of official races. 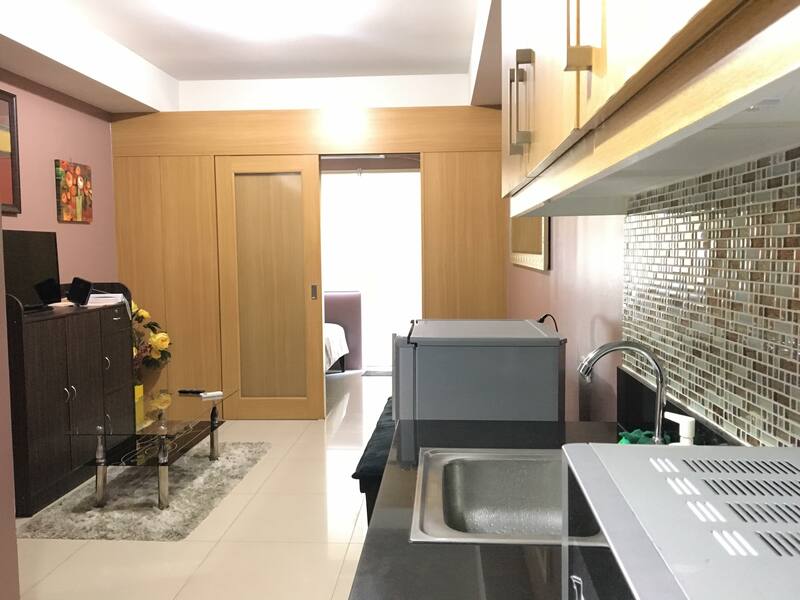 We decided to book an Airbnb at the Shell Residences. This worked best for us even as we did not have to wake ridiculously early. We only had to walk a couple of blocks and we were already at the starting line. It would have been fun if we were able to enjoy the pool! But because it was a busy weekend, we checked in late from a family reunion and Jeff had a wedding to attend where he played the drums – check out my YouTube channel for some of the video clips https://www.youtube.com/user/jenaspacio. 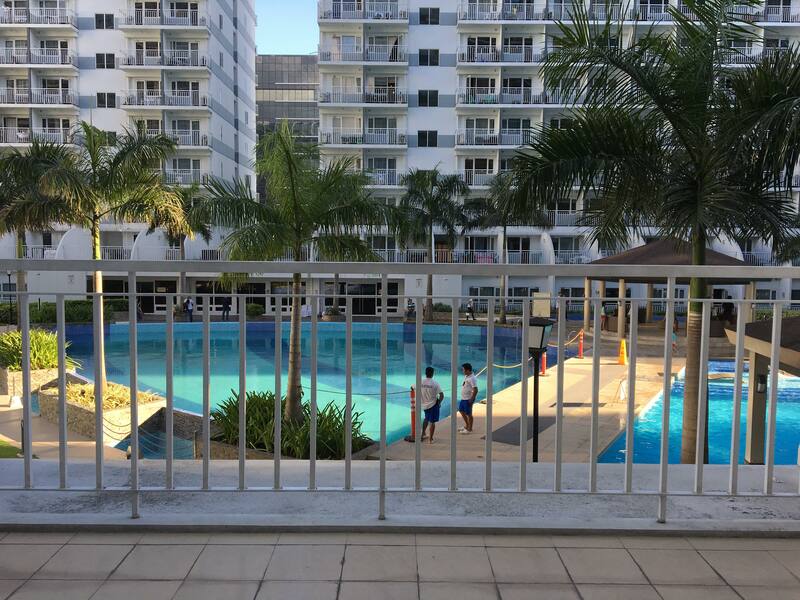 It was a good call for us to check-in at Shell Residences. Assembly time for 21K was 3am, this would have meant for Jeff to wake up at 1am to travel to MOA and get there on time. Instead he was able to leave the unit around 3:30am, and make it for gun start at 4am. 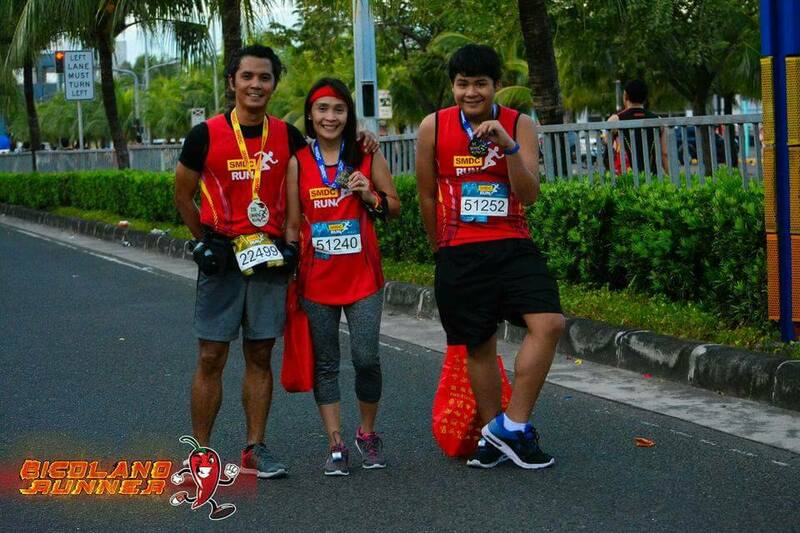 We love our official photos from Bicolano Runner! Thank you, Mike! Jeff and I read his recently published note on his FB page on the Bataan Death March 160KM (The 2018 8th Edition BDM Experience) His passion and zeal is downright encouraging. Jeff ran an hour before our gun start, and we finished 30 mins before he got to the finish line. We welcomed him with such excitement! This is how it feels like to run as a family! The feel good chemical, endorphins, is already a given. 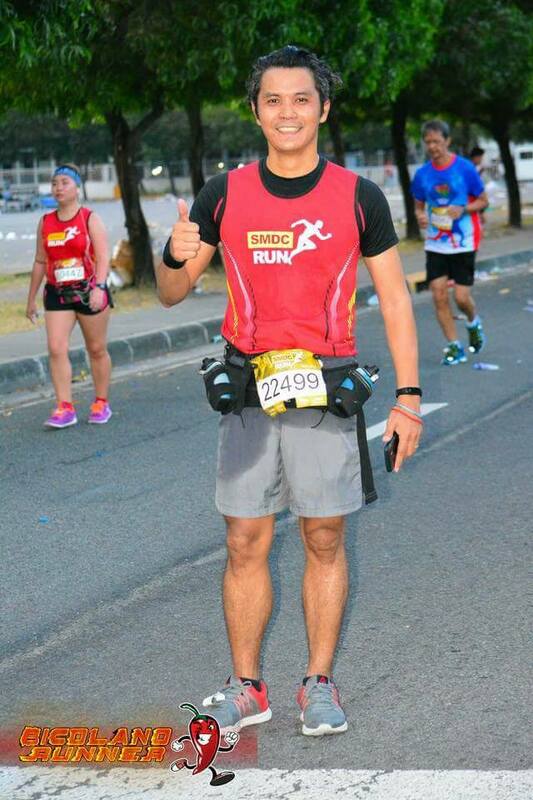 Runner’s World even mentioned that running helps the brain hold on to mood-boosting neurotransmitters serotonin and norepinephrine. 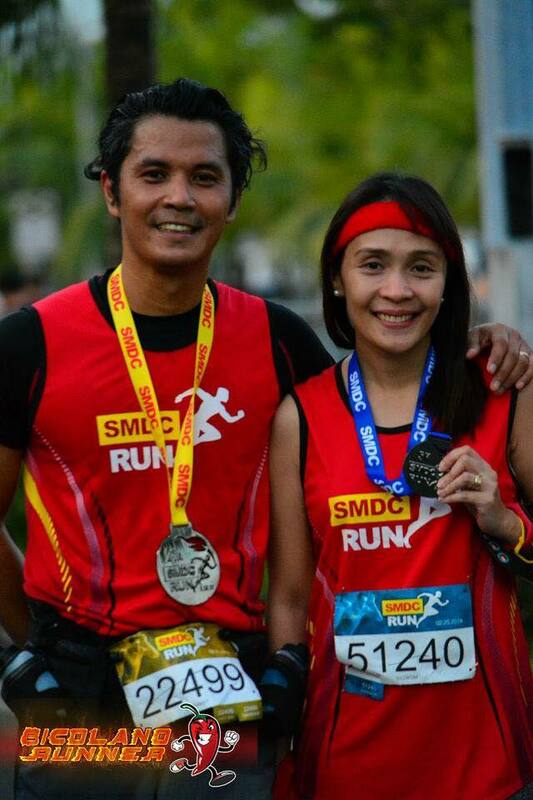 There’s something about the sweet anticipation of seeing your loved one finish the race! It was so much fun! 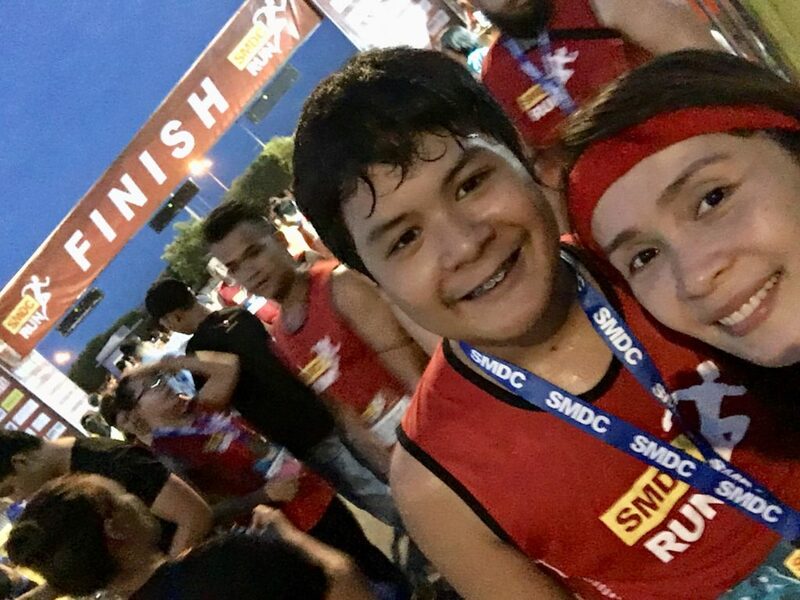 It was our son’s first official race – 5K! Loved running with this young man! He was full of energy and was plenty patient with his Mama. 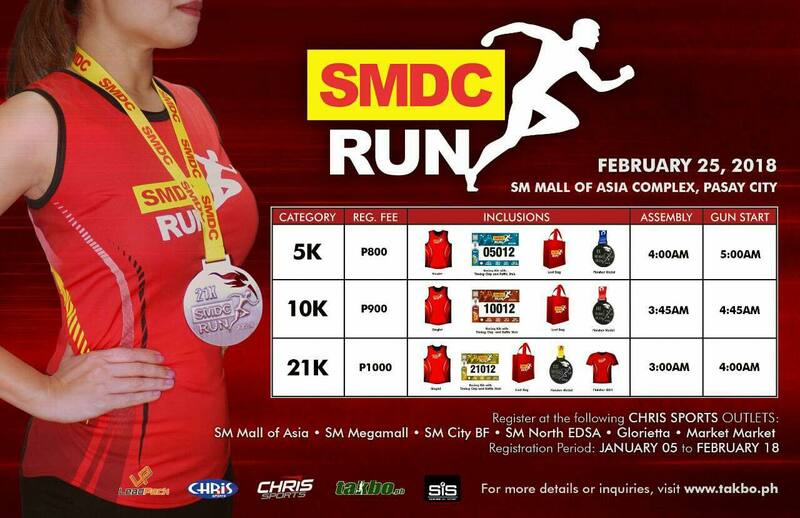 The SMDC Run is Jeff’s 8th official run. I have lost count how many 21’s and 42’s. I’m not sure yet when we will run as a family next, but I sure am stoked to go back to regularly run from here on out.